Each year in America, millions of pets enter animal shelters. More than half of these pets are euthanized because shelters are overcrowded and pets cannot be placed in homes. Most of the animals are not diseased, feral or vicious, but in many cases fully adoptable. The main cause of this fact is the avoidable breeding of animals. Over two years ago, Realtor Tom Kepp began the Tom Kepp Spay & Neuter Fund to reduce the number of dogs being euthanized in Naples, Florida by providing spay and neuter services to those who are unwilling or unable to do so. Being an animal lover, Tom visits impoverished neighborhoods seeking out pet owners to try to convince them to sterilize their pets. Many times, he pays for their pet’s procedures out of his own pocket. Tom’s selfless efforts over the past two years have made a difference in the amount of abandoned or unwanted dogs in Collier County, but it’s just a step in the right direction. He hopes that one day, there will be no such thing as a homeless or unwanted animal. The Tom Kepp Spay & Neuter Fund works in partnership with The Humane Society of Naples, using monetary donations to provide services free of charge to those in need. Currently there are no other free spay and neuter programs operating in Southwest Florida. This program is only possible through the financial support of donors and the partnership with the Humane Society of Naples. They are also seeking local Veterinary clinics willing to contribute to the betterment of animal welfare in their community. 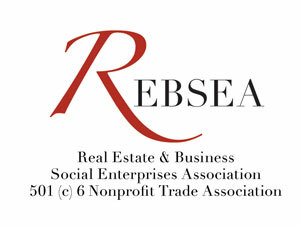 REBSEA is a Nonprofit Trade Association of Real Estate Agents, Mortgage Lenders, Insurance Agents, Businesses, and Nonprofit Organizations.